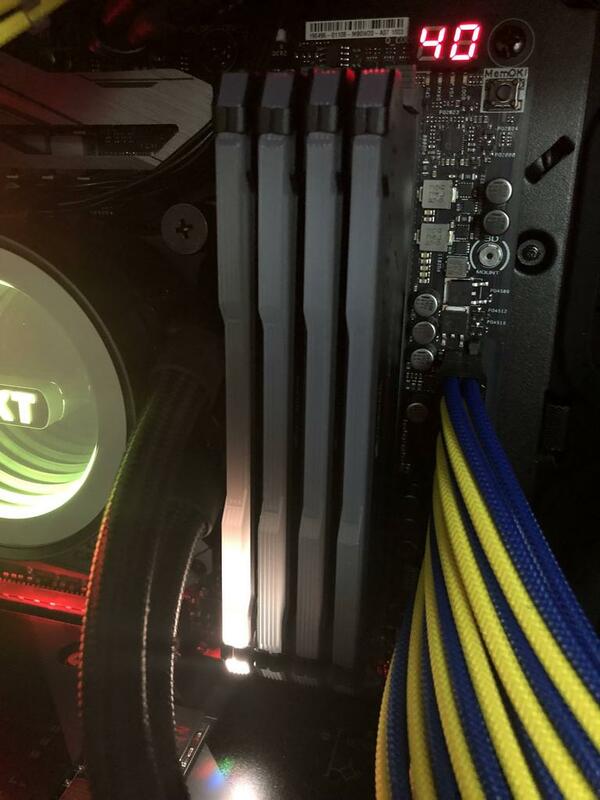 From what I understand, Corsair's engineers discovered the SPD corruption issue before releasing even the first wave of RGB RAM and had a fix for it in their first generation hardware. I would be absolutely amazed if the same fix isn't in place for the second generation RGB RAM as well. That said, I've reported this to Corsair for investigation. That said my machine has not been rebooted since Friday and now all SPD data is missing within CPU-Z. I decided to try Thaiphoon Burner free edition and sure enough I have SPD crc errors, and oddly my serial numbers no longer show on the ram. Something is very wrong if this can happen without me trying to. I've been away all weekend and have not been on my machine. The only change made was I uninstalled Gigabytes RGB Fusion application on Friday. Last edited by MalakaiAE; 07-16-2018 at 02:36 PM. CPUz might be due to iCue accessing the SMBus. Corsair doesn't program serial numbers in the SPD. Post a dump of the SPD instead of just the screenshot from Thaiphoon burner. iCUE Wasn't installed nor running while CPU-Z was reporting blank. I even uninstalled NZXT CAM and Ryzen Master prior to that. I have the new ram now. Re imaged windows back to a clean slate, Installed iCUE and now I can control both new dimms. I have not turned on XMP profile nor installed any other software. Looking at Thaiphoon I still have the same CRC errors. So maybe thats just the software not knowing how to read Corsairs data? If you look at the dumps, 2018-07-16 doesn't have all the timings/frequencies listed. I have not overclocked beyond turning XMP on then off at some point. All values should be default to my motherboard. Hi, I have fixed and enclosed SPD for your memory modules. The only Byte 0 needed to be set to 23h. Once I have changed it both CRCs are OK.
Hi Malakai, good to hear that you are able to get them exchanged. How did you do it? I bought with Newegg online and I don't want to live without my sticks for so many days shipping it back to Newegg. I am trying to see if I can just go into Corsair's office and get them exchanged, but I am not sure if this is going to be an option. Will be great if you can provide some info on how you were able to get the sticks replaced. I dumped SPD from all 4 sticks, they all look identical by vbindiff byte by byte. So I don't believe it is a corrupted SPD. Shouldn't be SPD corruption causing it. When you say 1 module is not lit up are there two red LEDs lit up on the top and bottom? 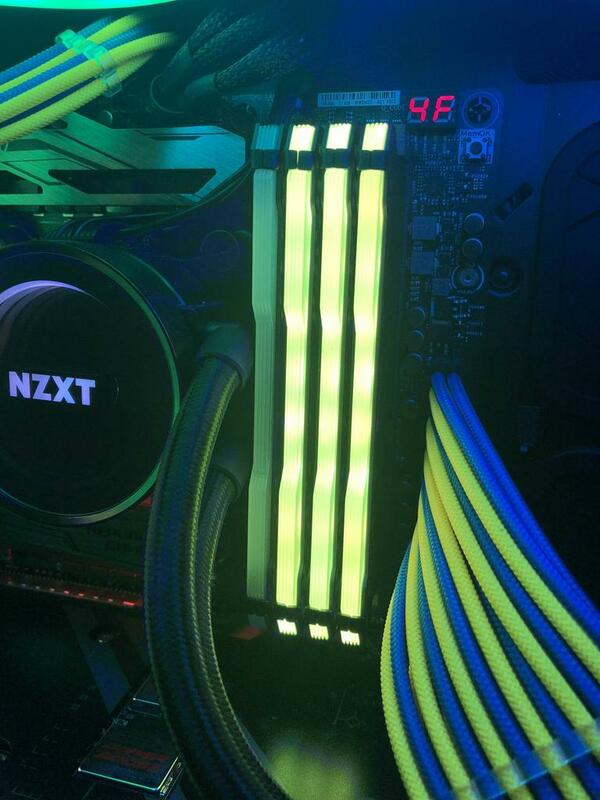 I used to see one white LED towards bottom when I turn off the LED for all 4 sticks. now it's just completely off, regardless whether I turn the other 3 sticks on or off. I am getting the replacement thanks to Corsair's great CS team, however does anyone know why this happened? My fear is that I will get this issue again on the replacement set and I will have to go through the same drama again to get them replaced... it's quite time consuming and annoying actually. 4/ Reset computer and now u can enjoy change anything color of ram at Icue. I used this method to fix my issue on z370. It seemed as though only after RGB fusion was installed this problem occured.